Error 1935. 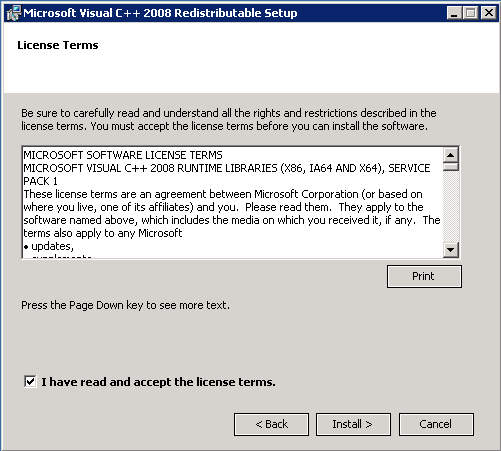 An error occurred during the installation of assembly 'Microsoft.VC90.MFCLOC, version="9.0.30729.4974", publicKeyToken="1fc8b3b9a1e18e3b", processorArchitecture="x86",type="win32". Please refer to Help and Support for more information. HRESULT:0x80071A30. 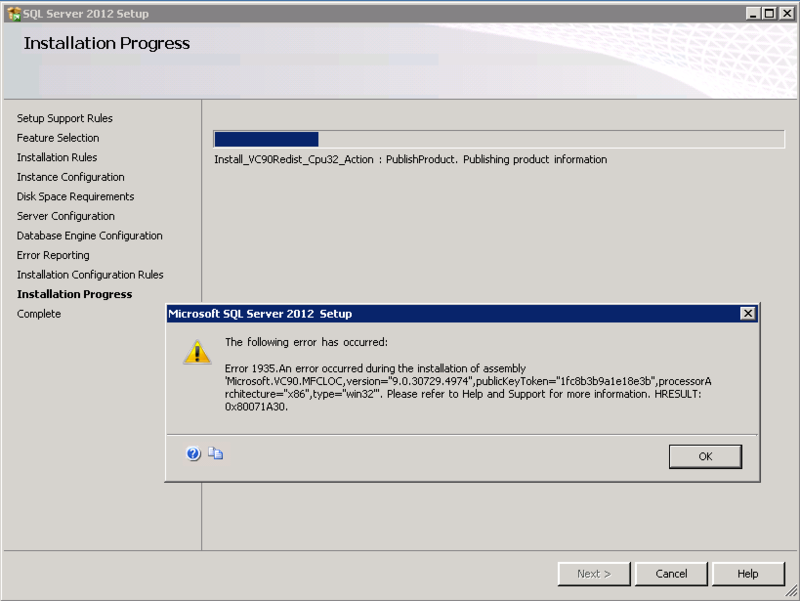 On the above screen I clicked on the OK button, then I received the another message from SQL Server setup as shown below. 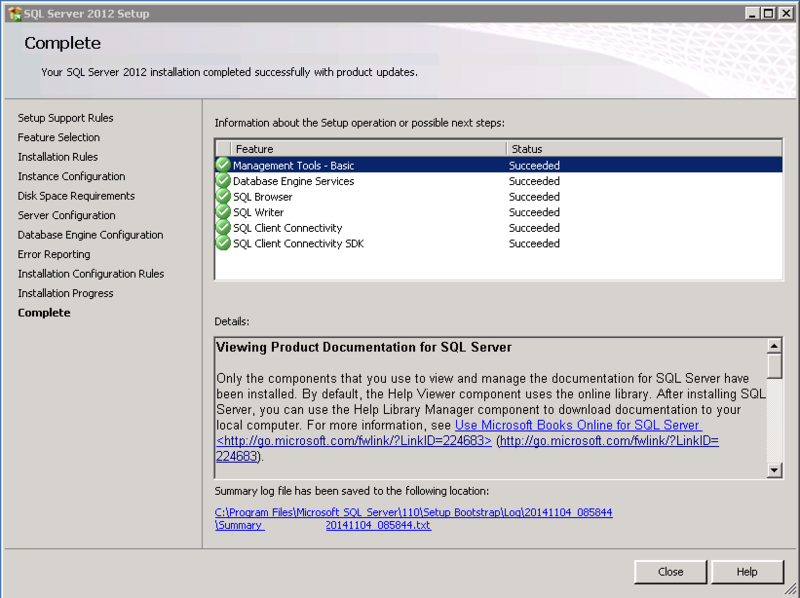 I clicked the Retry button and then SQL Server setup was able to finish successfully. 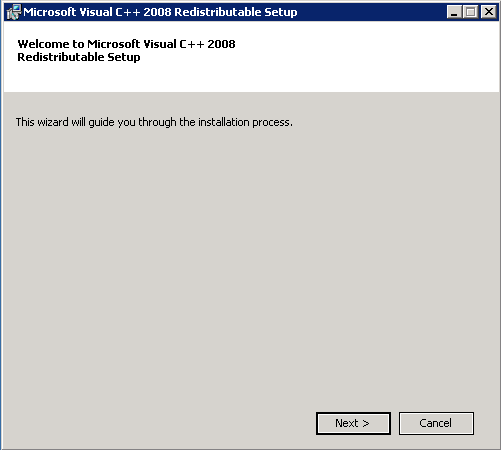 However, even when SQL Server setup finished successfully, I will download and install Microsoft Visual C++ 2008 SP1 Redistributable Package (x86) anyway, since the Microsoft.VC90.MFCLOC assembly shown on the error message is related to VC++ 2008. 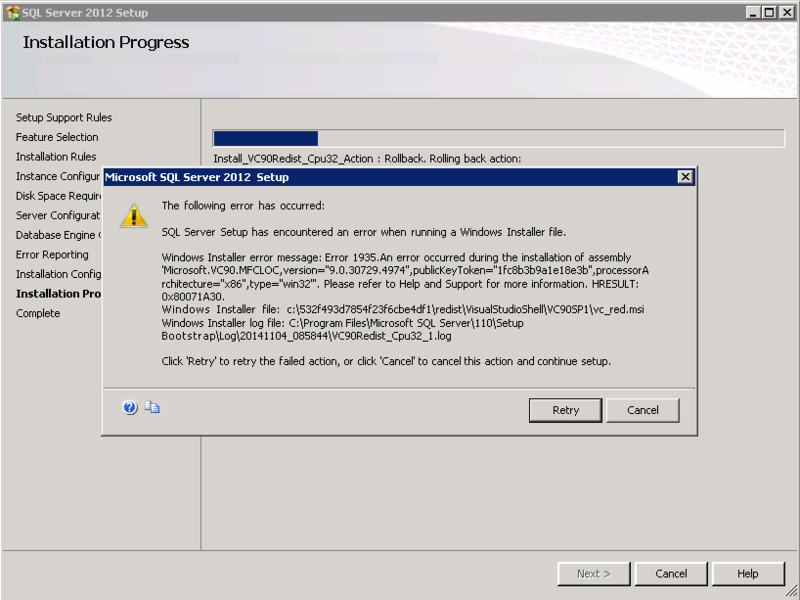 If SQL Server setup would have aborted the SQL Server installation when the first error appeared, I would have opted to install Microsoft Visual C++ 2008 SP1 Redistributable Package as first step to troubleshoot the issue. So I downloaded the software from here and install it. 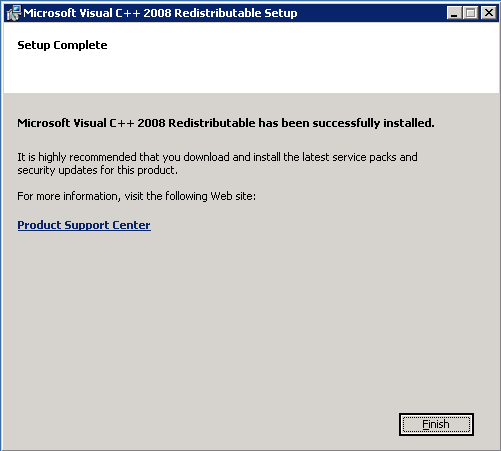 Once the Microsoft Visual C++ 2008 SP1 Redistributable Package was installed, I then applied SP2 for SQL Server 2012 successfully too.